The Snake Plant, also known as mother-in-law’s tongue, is native to Africa but has become a popular house plant. It can deal with low light levels and irregular watering making it one of the hardest house plants to kill. A study by NASA found that it is one of the best plants for cleaning the air in your home by passively absorbing toxins like nitrogen oxides, formaldehyde and benzene. The snake plant and most other desert plants use CAM Photosynthesis. This means it convert most of its carbon dioxide to oxygen at night. The reason for this is because during the day the plant leafs close their stomata to prevent water loss. At night time they open their stomata and store up carbon dioxide so during the hot day they can do photosynthesis without losing moisture from open stomata. Because of this some people like to put this plant in the bedroom because it will make oxygen at night while they are sleeping. Quality Plants & Excellent Service! 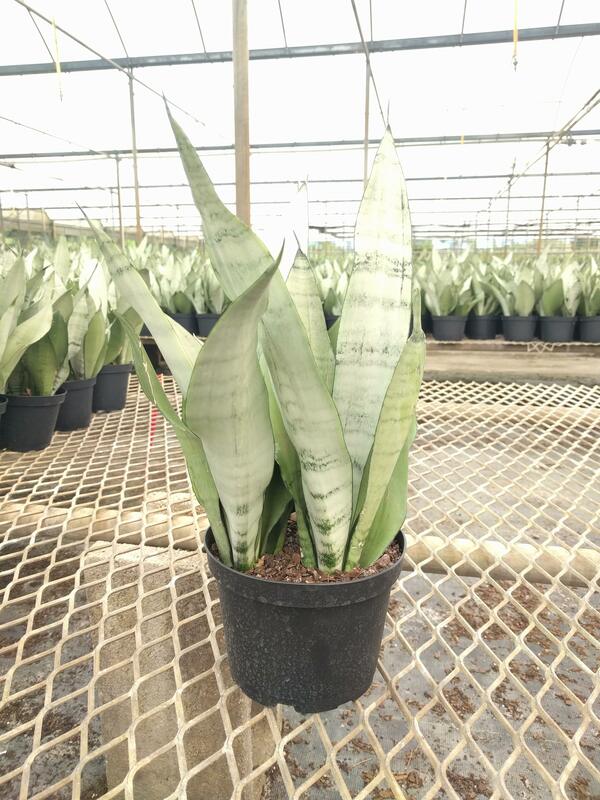 Tropical foliage grown in South Florida and shipped throughout the U.S. & Canada.